Last Monday the Prime Minister’s Literary Awards Fiction Prize was split between Richard Flanagan for The Narrow Road to the Deep North and Steven Carroll for A World of Other People. When Richard Flanagan gave the $40,000 prize money he received to the Indigenous Literary Foundation, the country applauded. In his award speech he gave two reasons for his generosity. Firstly, the lesson his father took from the POW camps and imparted to him was that the measure of any civilised society was its willingness to look after its weakest. 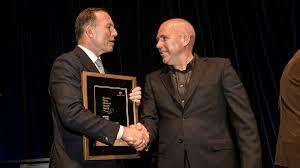 Secondly, if Flanagan’s presence at the Awards means anything it is the power of literacy to change lives. The difference between him and his illiterate grandparents is two generations of free state education and literacy. His stirring acceptance speech is available here. However, information revealed in the aftermath has soured the awards. Stephen Romei, Literary Editor of The Australian newspaper, reported that Prime Minister Tony Abbott overruled the judges’ unanimous selection of Carroll’s A World of Other People, deciding that the novel must share the award with Flanagan’s. Poet and member of the judging panel, Les Murray, was thunderstruck when he heard the results on the night, claiming Carroll’s novel was the sole winner. According to prize rules, the Australian prime minister has the right of “final decision” over the award’s selection. It was reported in The Australian that Prime Minister Tony Abbott exercised his prerogative to change the judges’ decision. Whether or not Flanagan’s novel was good enough to win isn’t the discussion here. There can be no doubt the Prime Minister’s Literary Award is one of the most lucrative in Australia. But what is now in doubt is whether it can still be seen as one of the most prestigious. These disclosures bring into question whether a novel should win because a panel of peers recognised its superior merit or because someone in power saw it as politically expedient? What is concerning is that the final selection made by an elected and eminent panel of people working in the literary field can be so easily over-ruled by the whim of someone who potentially has little knowledge of the complexities of writing. Louise Adler, chairperson and judge of the fiction and poetry sections, lamented that judges were breaching confidentiality agreements by voicing in public their opposition to the “nasty surprise” they were confronted with. Perhaps she should also consider the way the judges’ decision was over-ridden, the manner in which the change was revealed, and the opportunity for uninformed partiality to displace quality. These are the things that need to be discussed. This entry was posted in Books, fiction and tagged books, fiction, Louise Adler, Prime Minister's Literary Awards, Richard Flanagan, Steven Carroll. Bookmark the permalink. Thank you, Karen for this considered and informative post. I hadn’t been aware of this matter until now and you have raised an issue that certainly warrants deliberation especially from an ethical point of view. I think these actions undermine the value of the Award. I can’t help wondering how Flanagan feels when his novel was not the judging panel’s choice – according to Murray the majority of the judges criticised it severely – yet he still became joint winner. Thanks for your comment, Diana. This is worrying Karen and I agree that the value of the award is lessened with knowledge that the PM can overrule the committee’s decision.Though such an occurrence does not surprise me in the current political climate. As a fellow inhabitant of the Hunter, I can understand your lack of surprise that politics manipulates every aspect of our lives. It only makes it more important that we have these conversations and ask questions about how and why decisions are made. Thanks for stopping by, Michael. Thanks for the info, Karen. One of the judges said that Richard Flanagan was not one of the final two. The judge said that he was shocked to hear Flanagan had won, considering he was not a consideration. Louis Adler’s comments are consistent with her past political bias. Like you, I don’t agree with her. As for the Prime Minister’s interference it is consistent, too, with his bully-like tendencies, with total lack or respect for others. I hadn’t heard that Flanagan wasn’t one of the final two. I know most of them were not complimentary about his novel. You won’t be surprised to learn that Louise Adler fought very hard for it, though. While the Prime Minister has every right to determine the winner according to the prize guidelines, this year’s debacle raises the question of whether that clause should be removed in future? Why have an eminent judging committee if you’re going to be so dismissive of them? It reflects badly on the Awards as well as the writers caught up in it. I appreciate your comments, Anne. What a joke. 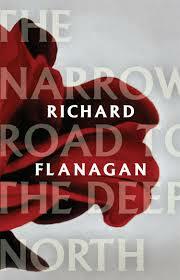 Richard Flanagan and The Narrow Road to the Deep North have been lauded internationally. Another example of conservative ideology winning out over merit. Also worthwhile is an article in the latest edition of The Saturday Paper by Mike Seccombe’s entitled “Abbott’s fresh history wars” about one outrageous decision in the non-fiction section. Hi Don. You’re right. It’s easier to jump on the established bandwagon than take a risk on something exciting and new. I don’t think we’ll ever hear the whole story of what happened in the fiction section. I did read about the non-fiction section elsewhere and saw Abbott’s ideology very clearly in one of the choices. It’s great the prize hasn’t undergone a budget cut but its reputation certainly has. Such a shame whenever celebrating creativity becomes something which feels sordid and under-the-counter. I don’t know much of Australian politics but it seems that some things are the same the world over. Maybe the revelations will lead to positive changes – I can only hope! We can only hope that in future those with expertise are left to do their job of judging the merit of a book without the interference from those who lack the expertise. We only know what happened because the judges were so disgusted they spoke out. I’m sure Australia isn’t the only country were undue influence shows its ugly head. On a lighter note I hope you and Ron and your families have a wonderful Christmas and a hugely successful New Year. Fascinating! It does peak my interest in both books, but still… wow. Have a wonderful Christmas, Dawn. Very interesting post Karen, I wasn’t aware of this, thanks for sharing. I feel for the judges and the authors, their expertise and contribution to Australia’s literary culture, undermined and undervalued … power and politics … not always in the best interest of others! I’ll read both books. I agree completely, Maree. You expressed it so well. The recent hubbub over the Prime Minister’s Literary Awards was sparked by poet Les Murray, one of the judges on a panel charged with the duty of choosing a shortlist and recommending a 2014 winner. Murray was enraged because his judging panel was bushwhacked by Prime Minister Tony Abbott. 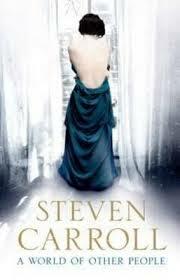 The panel had recommended Steven Carroll’s A World of Other People be awarded the Prime Minister’s Literary Award in the fiction category. Mr Abbott, as was his right under the rules of the award, decreed that Carroll’s book must share the prize with Richard Flanagan’s The Narrow Road to the Deep North, a novel about Australian prisoners of war in World War II. This was not the first time that judges had cause to be unhappy about a PM intruding in this way, nor will it be the last. The awards are at risk of becoming a laughing stock. Here’s the main problem: there is an inherent tension in the structure of the award process – between an expert panel and a PM with no expertise who has the final say and can dispense partially or entirely with the advice given to him. This might be fine in government, but literary awards are surely another matter. The potential for an impasse and indeed an outcry began at the beginning, when John Howard introduced the Inaugural Prime Minister’s Award in 2007. My book, Colonial Ambition, was a co-winner, sharing the History Award with Les Carlyon’s The Great War chosen from a field of about 150 books. My understanding is that the ‘‘narrative’’ provided to the PM indicated that the panel’s choice was Colonial Ambition. At the award presentation in Parliament House in Canberra that year, two of the judges quietly told my wife and I of their displeasure at the PM’s intervention, and several other guests whispered their disapproval. ‘‘The Little Digger has hooked the award to his bandwagon,’’ one said. One of the judges in 2007 who was not at the awards presentation was Geoffrey Blainey. When Blainey learnt of the outcome he was most unhappy but he chose not to go public having signed a confidentiality agreement. Instead he protested quietly. He told a government official that the prize had been run in a ‘‘very poor way’’. He protested the presence of a government representative on the judging panel, and the PM’s intervention. He had departed the judging panel believing that Colonial Ambition would win. So, Murray is not alone. His antecedent is Blainey, but he was too much the gentleman to speak out publicly. My concern here is not about the outcome in 2007, nor the comparative literary or historical merits of Colonial Ambition and The Great War. The awards needs to be rescued from meddling prime ministers who should not be presiding over matters literary or historical. Consider this. The decisionmaking process for the PM’s Literary Awards permits an expert panel to choose the winner so long as the PM does not have a contrary preference or agenda. In both cases where the PM has over-ruled the panel’s decision (2007 and 2014), it’s been an overruling in favour of partisan politics , that is, the PM’s attachment to military history. Howard was a leader of the conservative right in the ‘‘History Wars’’. He was a prime mover in making the so-called Great War the undisputed centrepiece of national memory and Anzac Day the undisputed national day, ‘‘transcending any other commemoration’’ as he put it. That, alone, should have ruled him out of the decisionmaking process in 2007. Colonial Ambition subsequently won the Age non-fiction award and then the Age Book of the Year in 2007 so one could reasonably argue the PM’s judging panel was hardly off the radar with its choice. Howard’s obsession with our military history was never matched by any comparable enthusiasm for our democratic past and our early struggle for self-government, the core themes of Colonial Ambition. We desperately need a better balance between our military and democratic past in the national memory, but we’ll never get that from the drum-beaters who know the political mileage to be extracted from the slouch hat. Any intervention by any PM that has the look of partisan politics should conjure up shame enough to rule out that intervention; but to hope for that is perhaps to hope in vain. Judges in the PM’s Awards spend many hours reading and re-reading a mountain of books and determining a winner in each category. The workload is colossal. They then provide the PM with ‘‘a narrative that discloses their mind’’. All of this effort can then be radically modified or entirely disregarded. The whole thing smacks of droit du seigneur . It is feudal. It is certainly not democratic. The exercise of this right diminishes the PM’s Awards every time. It is a good thing for a prime minister to lend the authority of the office to the promotion of Australian literature. It’s another thing entirely for a prime minister to make of these awards – and of taxpayers’ money – his personal gift. Peter Cochrane is author of Colonial Ambition, Foundations of Australian Democracy, published by Melbourne University Press. time that judges had cause to be unhappy. I read it with interest too, Anne. I’m glad there have been such articles in the main press. It’s really disgraceful. You know, Karen, I’ve been thinking how much I like the idea of judges publishing their reasons and explaining the process involved when choosing a winner. Reading those reports could be such an instructive exercise for all writers. In some cases, judges give the strengths of the hows and whys of their decision making. Transparency is a good thing in this instance. To ask judges to sign an agreement which requires their silence about the decision surely undermines the judges’ expertise from the very start. I’m pleased the judges spoke out and did, I quote, ‘the ungentlemanly’ thing in this case and spoke out. All power to them. I completely agree, Anne. Thank you for adding your thoughts on this disgraceful practice. I’m gobsmacked Karen. Does the PM even read fiction? I’m with you Anne about the judges speaking out! What is the literary world coming to? Thanks for commenting, Debbie. It’s shocking that judges chosen for their expertise in literature can have their decision dismissed so easily by someone without any credentials at all. I agree with you and Anne that this had to be exposed. It has also come out that the same thing happened in the history section. The PM gave a joint win to a book that supported his political stance despite the questionable merit of the book. Many people will be watching closely next year to see what happens.